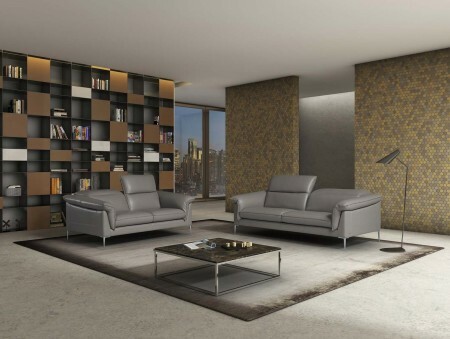 Eden living room set comes in grey color genuine Italian leather also available in taupe. Made in Italy by Ital-Mo it brings comfort and durability. Comfortable sofa and loveseat has adjustable headrests and stands on steel legs. You can purchase each piece separately, create your own set or choose a package that's on sale.